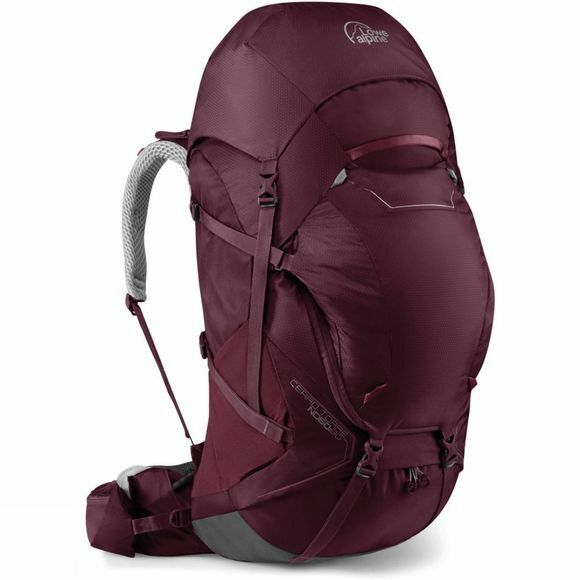 Female specific trekking pack for remote self-sufficient adventures. Features Lowe Alpine's VT Flex carry system, including dual pivot hip fins and a stabilising load transfer bar. New female-fit lumbar design to improve carrying comfort.